As you may have guessed from the title of the post, our new baby has arrived! Say hello to Larkin Nanikealoha Elizabeth Johnson. She was born at 2:30am on January 20th, 7 lbs 13 oz, 19 3/4 inches long and 13 3/4 head circumference. Not huge, but certainly not small, especially for only 38 weeks and two days gestation. I believe this was my last maternity photo before she arrived. I’m working on her birth story post (actually I’m finishing up part 3 of Corban’s birth story first! ), but it will take some time as I’m still working through the emotions of everything. 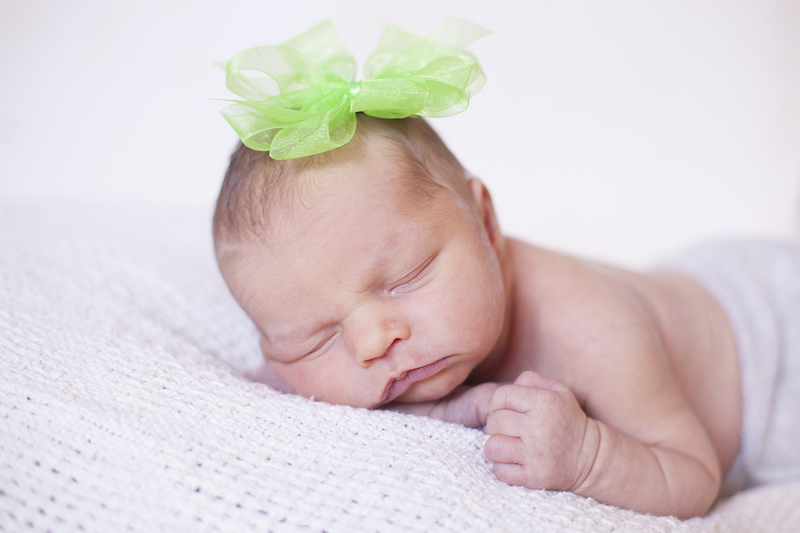 We had an amazing home birth that couldn’t possibly have gone better. But then my midwife discovered that Larkin had a rare blood disorder that can cause serious issues. 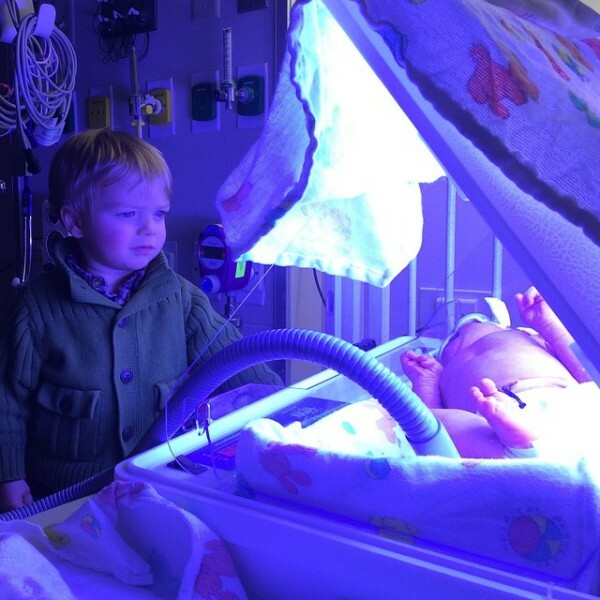 We ended up spending almost a week in the hospital with her, and going through some pretty traumatic testing. Thankfully, we are back home, and today at 3 weeks old she has grown so much that she no longer fits in newborn onesies. Larkin is a big eater, just like Corban was. I am also nursing Corban 1-3 times a day (my continuing to nurse him through the pregnancy is one of the things that helped Larkin get better so fast. More on that in her birth story post.) and trying to pump at least once a day to store up milk. This means I am hungry all the time, and I am breastfeeding/pumping about 10-12 hours a day! Fortunately, when Corban was breast feeding full time, I started working on a cookbook for nursing mamas. I lost interest in it when I got postpartum depression, something I hope to avoid this time around, but now I have so many great recipes and am looking forward to working on it again. 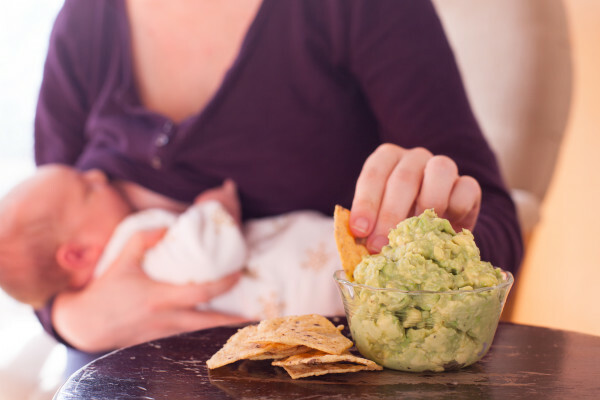 For me, a breastfeeding recipe needs to be fast and easy to make (no matter how sleep deprived you are), possible to eat with one hand while nursing your baby, and full of healthy nutritious ingredients that encourage a good milk supply and provide everything mama needs to stay healthy. I also choose to make the recipes dairy free because dairy is the number one food sensitivity for breastfed babies, and it would tie poor Corban’s stomach in knots if I ate any. This guacamole recipe is a great example. I call it a quick and dirty guacamole because the only fresh ingredient is the avocado. all the seasonings are dried (spices) or bottled (lime juice) because I just don’t have time to be chopping up onions, garlic, peppers, and tomatoes, or to juice a lime. This is an easy guacamole recipe that is ready in just two minutes, which is just about how long I can hold my hungry baby off while I prep a snack to eat while she’s nursing. 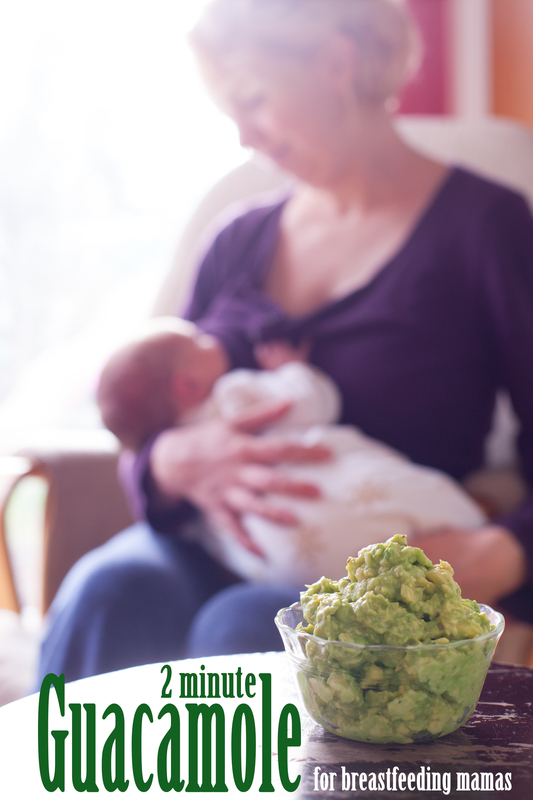 Of course, you don’t have to be a nursing mama to enjoy it. It’s a perfect protein and healthy fat packed snack for anyone, and especially popular with my toddler! I like to eat these with multigrain tortilla chips, my favorite are the Food Should Taste Good chips. This recipe is also great for preserving avocados, so you can save money by buying a bunch when they’re on sale. Just follow the instructions in my post on how to preserve avocados, but use this recipe in place of the lemon juice. You can freeze it in little single serve containers like these. 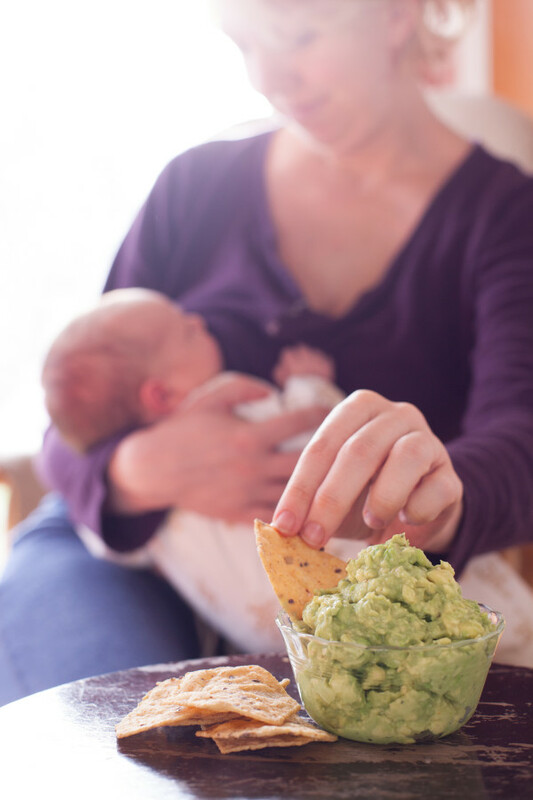 I’m having fun getting back to the breastfeeding cookbook, so if any of you have any ideas for great snacks or meals to eat while breastfeeding, I’d love to hear from you in the comments below. If you have extra time and want to use fresh lime juice or jalapeño, feel free. Haha, extra time. You're a nursing mama! Can you even remember when you last had extra time? I sure can't. In fact right now I'm writing this on my phone as I nurse! The ingredient amounts are not exact because for just one avocado the measurements end up being really small. Just think of a dash as one quick shake of the spice jar (make sure the lid has the little sprinkling holes) and a pinch as two shakes. Remove avocado from the peel. Discard the peel and pit, then mash the avocado in a bowl. Add lime juice, salt, garlic powder, onion powder, cayenne, and pepper. Mix well. Approximate cost/serving: This depends on the cost of avocados, but I usually get them for $1 or less so this comes out to barely over $1 per serving. Vegetarian/gluten free: This is gluten free, vegan, dairy free, and just about any other dietary requirement! Do make sure though that your onion and garlic powders don't contain flour to prevent clumping.